In this article I’ll define podcasting and give you a good understanding of what a podcast is and how they work. In simple terms a podcast is an online radio show. Generally a podcast is hosted by one or more people, and releases regular episodes that are based on a particular topic or theme. There’s thousands of podcasts on a wide range of topics, everything from how to build a house, to business ideas for moms. The majority of podcasts feature more talk style content as opposed to music style programming, simply because of the issues with copyright. However as more of the industry leading music labels come to terms with this relatively new medium, it’s likely you’ll see more music-based podcasts come out. Another popular feature of podcasts is that they are distributed via RSS. This basically means that you can subscribe to a podcast and your listening device ( iTunes on your computer or a podcast app on your phone) will automatically download new episodes for you as they are released. 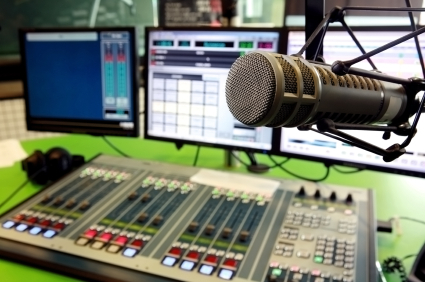 According to a 2012 survey by Edison research, nearly three in ten Americans have ever listened to a podcast and that number is growing rapidly! Even celebrities have even weighed into the world of podcasting with comedian Ricky Gervais launching his podcast in 2007, and to this day it continues to dominate the iTunes podcasting charts. So when you’re thinking what is a podcast, just remember it’s basically an online radio show that can be delivered to your computer or device automatically once you’ve subscribed to it. Why is it called podcasting? The name podcasting is a blend of two words, “iPod” and “broadcasting”. The iPod was essentially the first commercial device to make podcasting mainstream, hence why the medium borrowed from the devices name. As for the “casting”, that obviously is borrowed from the term “broadcasting” which means to transmit a message to a large number of people. Podcasts can be listened to on computers or portable devices such as iPhones, iPads, Android phones etc. 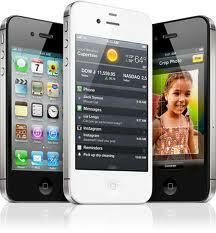 In fact Edison’s study revealed that in 2012, one in five smartphone owners are podcast listeners. Which is perhaps why Apple launched their podcasts app that allows people to download and stream podcasts live from their Apple device. Using this app you’re able to search through a library of thousands of podcasts by genre to find exactly what you’re looking for. The podcast app also has a “what’s hot” chart, so you can see the most popular podcasts according to download and ratings in your area. However you don’t need an Apple device or Apple computer to listen to a podcast. You can access, subscribe and listen to many podcasts on any device or computer that has access to the Internet. Time shifting basically means that unlike traditional radio, with a podcast you are able to consume the content on your own time and location. In other words you are not restricted by tuning in at a particular time within the range of the signal tour of a traditional radio station. This means you can listen to a podcast when you are 30,000 feet in the air above the Atlantic or when you’re jogging on a treadmill. This is one of the reasons why many people love listening to podcasts, because they can consume the content when it suits them and their needs. An mp3 is the file type that a podcast is saved as.An .mp3 file is heavily compressed, which really helps distribute the file at a manageable size. For example you can have a podcast episode that goes for 20 minutes but when saved as an .mp3 file it will only be 16MBb. However if you tried to save the same file as a .wav file you could be left with a file that easily exceeds over 100MB (that’s pretty big!). 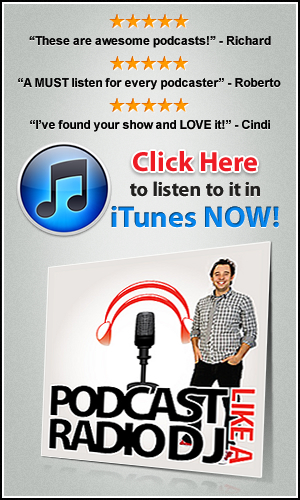 When it comes to podcasting, iTunes is known as a podcast directory. Think of a podcast directory as a library for different podcasts. When you open the podcast tab in iTunes you’ll see that they put all the podcasts into different categories. From within the iTunes store you can subscribe to a podcast you like. This means that iTunes will automatically download each new episode that is released, ready for you to listen to within the podcast section of your iTunes library. Also, you can rate and review your favorite podcasts and help propel them to the top of the charts. I hope this article has clearly explained what a podcast is and how to listen to one. Lastly – if you’d like to discover how you can create your own podcast then you can download my FREE report by filing in the form below.